To protect your employees and customers, while also reducing your risk, you need anti-slip safer solutions from Sure-Foot. Our rubber tiles like this Heavy Duty Birch Anti-Slip Tile are a great solution for preventing slip and fall accidents in your building. 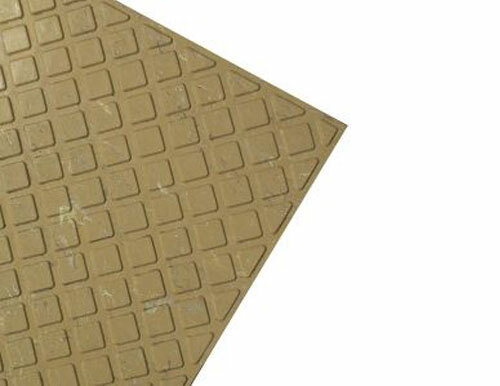 Made with non-slip rubber and printing with a continuous diamond pattern, you don’t have to worry about these tiles compromising the aesthetics of your flooring! Sure-Foot is an industry leader in safety and anti-slip flooring. Our heavy duty anti-slip stair treads and tiles exceed the ADA recommendations for slip resistance and are manufactured for heavy traffic. If you’re interested in learning more about preventing unnecessary slip and fall risks contact us or request a product sample today!